Feast your eyes on this cast iron beauty and tell me how much you’d enjoy cooking a big meal for a large brownstone family. I suggested to Charlie that we keep things simple in the kitchen and, instead of investing in some fancy stainless thing, we just cook on this instead. He was less than amused. All kidding aside, this is one of the most impressive stoves I’ve ever seen. 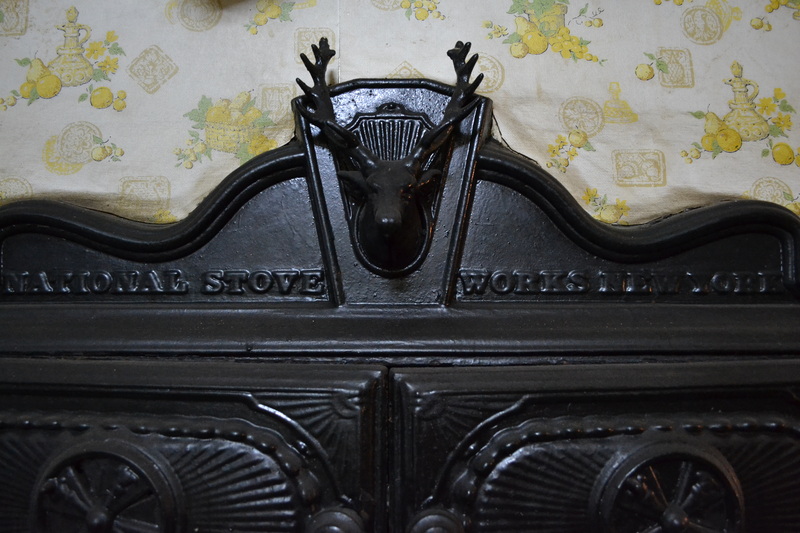 If you can get a good look at the writing across the top, it says National Stove Works New York. 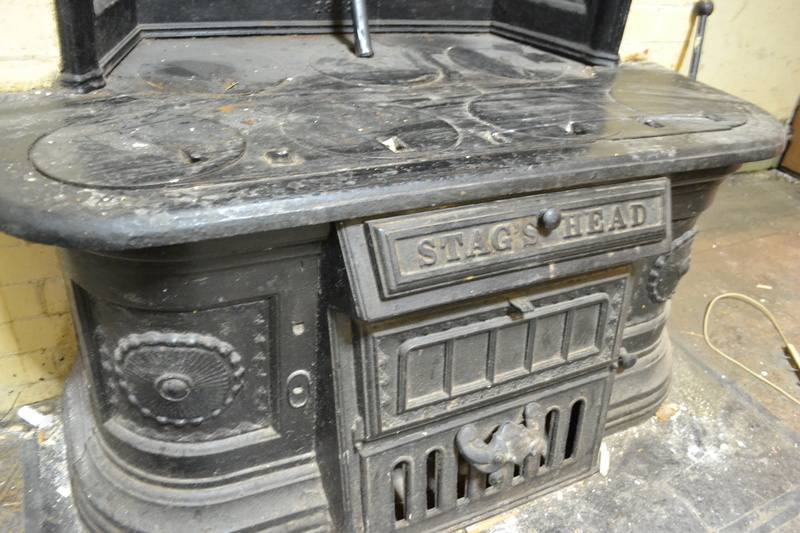 Cursory internet searches have not revealed much of anything about the stove’s origins. But I’m determined to know more. 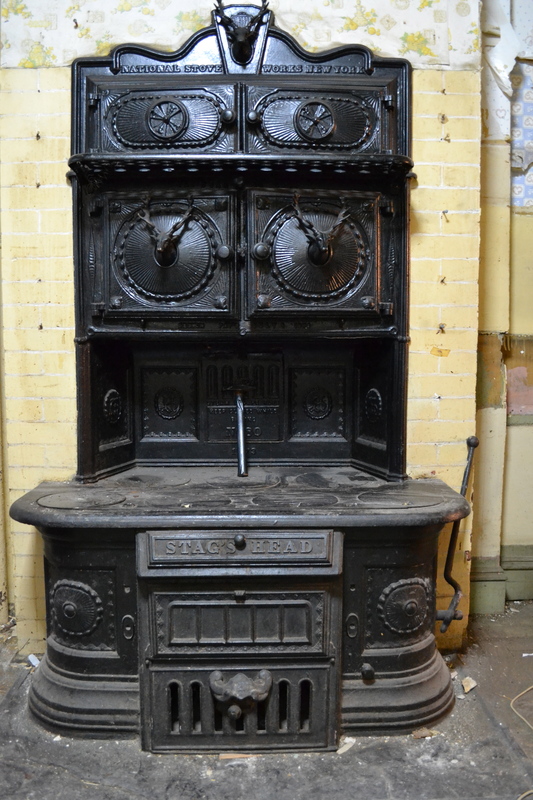 Anyone out there have any insight into enormous cast iron stoves from the late 1800’s? 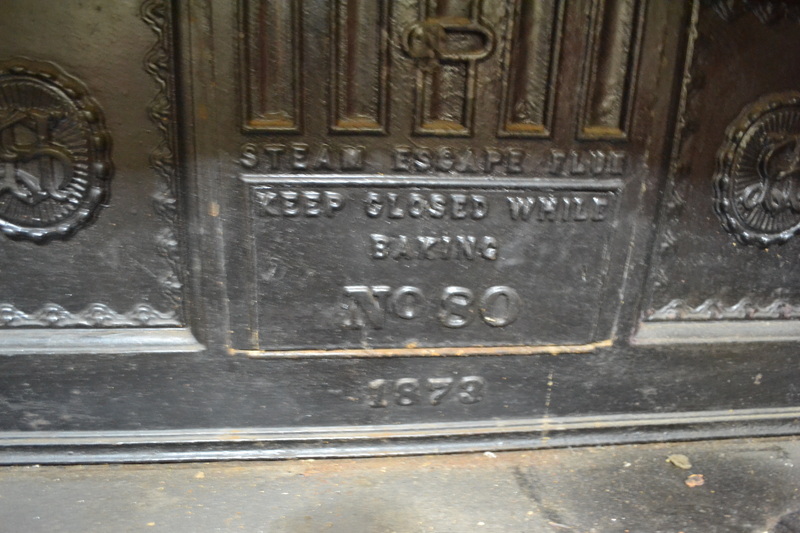 in the photo below, you’ll see that there is date of 1873 listed above the burners. My mind is already spinning all kinds of crazy stories and I can practically picture the women who perspired over this stove in layers of crinoline (what else could they be wearing?) cooking hearty suppers for a full house. And I don’t think my daydreams are too far off from reality. Charlie searched through the Brooklyn Daily Eagle’s online newspaper archives and found an ancient clipping for this very same house in the early 1900’s advertising for a full-time cook. Not just any cook. A Protestant cook. Apparently those owners could only consume food cooked with the same religious views. You are what you eat, as they say. Late last week, we had the gas meters installed (one of the less interesting aspects of home renovations so I’ll spare you the details). 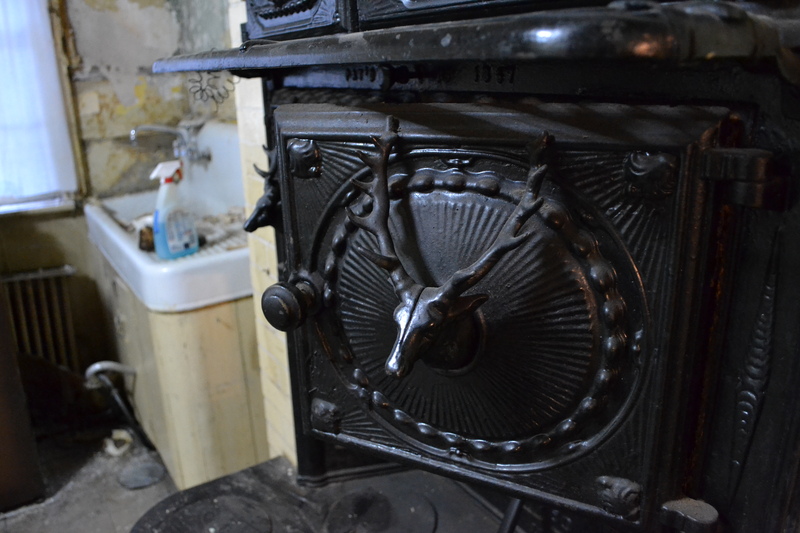 When the gas guy walked through the garden floor, his jaw dropped when he saw the stove. This thing catches everyone’s attention. It’s even more impressive in person. 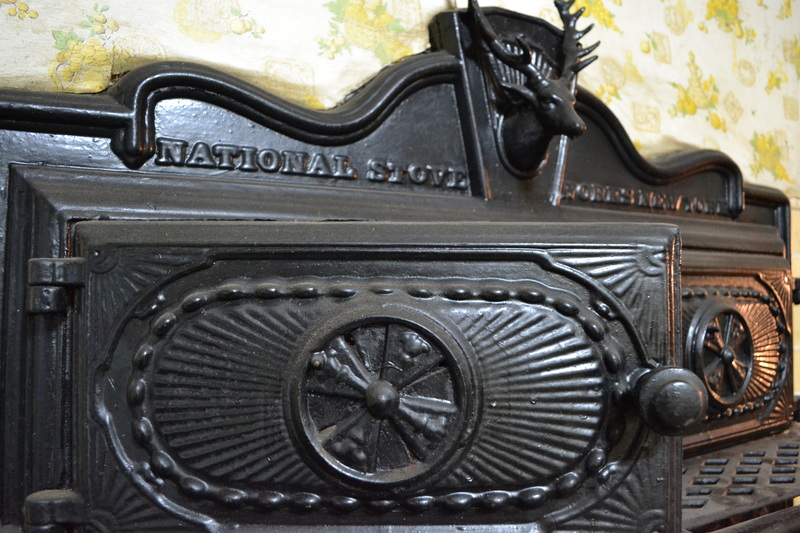 One of the more daunting tasks is to figure out how to incorporate such a stove into our home. Because I’m fairly positive it will take an army to move it. At least we’ll always a conversational piece close at hand.